Well, this one started a little slow for me, but it could be that I didn't realize it was a series and I haven't read the first book - so I didn't have the background that might have allowed me to jump right in. But I have to say, after the first couple of chapters, I was hooked and couldn't put this one down. 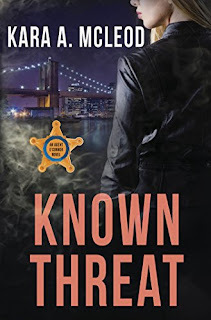 Known threat is well written with likable characters and a good amount of drama and police procedural. There is a bit of romance, action and even a touch of suspense thrown in for good measure.